If you live within our practice area you are welcome to register with us and our reception staff will be happy to guide you through the procedure. Eligibility can be quickly confirmed from your address so please provide proof by way of a recent utility bill along with one form of photographic ID. Both of these are essential documents that we need to see before we will accept you for registration as a patient. You will be registered with the Practice but you can see any GP. If you prefer to see a particular GP you need to tell us when you book an appointment and remember by doing this you may have to wait a little longer. Please keep us informed of any change of personal details, for example, name, address, telephone number, etc. If you move out of the practice area you will be required to register with another GP practice. If you wish to pre-register at the Practice please complete both of the forms below - they are complementary to each other and will help us to make your ultimate regsitration smoother. When you have completed each form, simply click on the "Send" button to submit them to the practice. 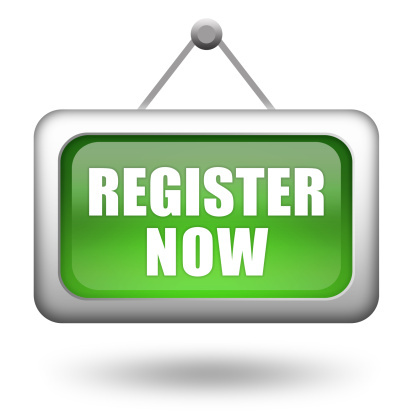 PLEASE NOTE THAT COMPLETING THE ONLINE PRE-REGISTRATION FORMS BELOW DOES NOT MEAN THAT YOU HAVE BEEN REGISTERED AT THE PRACTICE - YOU MUST STILL COMPLETE THE PROCESS, IN PERSON WITH ALL SUPPORTING DOCUMENTATION AND A SIGNATURE, AT THE PRACTICE BEFORE YOUR REGISTRATION WILL BE PROCESSED. IF YOU DO NOT COMPLETE THIS PROCESS WITHIN 1 MONTH OF SUBMITTING AN ONLINE PRE-REGISTRATION FORM, THEN YOUR FORMS WILL BE AUTOMATICALLY DESTROYED. When you visit the surgery for the first time you will be asked to sign the forms to confirm that the details are correct and you will also need to bring proof of address (a recent utility bill will normally suffice) and some form of Photographic ID (Driveres Licence, Passport for example). Without confirmation of your address and photo ID we will not be able to register you at the practice. Note that by sending these forms you will be transmitting information about yourself across the Internet and although every effort is made to keep this information secure, no guarantee can be offered in this respect. These fact sheets have been written to explain the role of UK health services, the National Health Service (NHS), to newly-arrived individuals seeking asylum, but are appropriate for use by all non-English speakers. They cover issues such as the role of GPs, their function as gatekeepers to the health services, how to register and how to access emergency services.